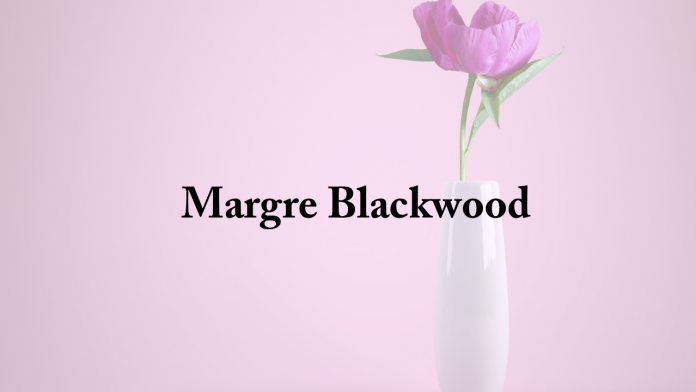 Graveside services for Margre Blackwood, 87, of Hanceville will be Friday, March 29, 2019 at noon at Hopewell Cemetery. The family will receive friends on Friday beginning at 10 a.m. at Hanceville Funeral Home. Mrs. Blackwood passed away on Monday. She was born May 16, 1931 to Burnham and Olar (Quick) Pitts. She is survived by children, Donna (Eddie) Heptinstall, Keith (Cindy) Blackwood, Sherry (Doug) Hamrick and John (Debbie) Blackwood; grandchildren, David Heptinstall, Lacy (Josh) Stancil, Keith (Maggie) Blackwood Jr., Emily (Stephen) Chandler, Stanley Hamrick, John “J.T.” Blackwood Jr., Landon Blackwood, Ashlea (Clay) Miles, Paige (Jake) Russell and Jake Hamrick and great grandchildren, Asher Heptinstall, Aiden Heptinstall, Brooklyn Stancil, Kyleigh Stancil and Anna Reese Miles.